Spring has finally sprung! It was a nice day for a walk, here in NYC. But hundreds of journalists weren’t logging the miles outdoors. Inside the Jacob Javits Convention Center, the 2017 New York International Auto Show is in full swing. Day 1 was packed with world debuts and US premiers. Here’s some of our favorites straight from the floor. Some would be disappointed that Acura did not update the TLX in any mechanical way. But there are changes other than a new fascia that are of interest. 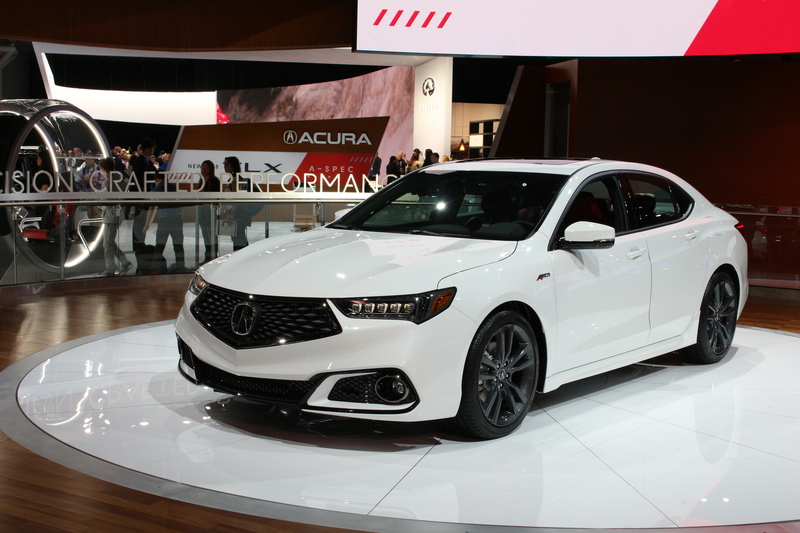 The A-Spec model gives the TLX a new exterior look with graphite wheels, black rear spoiler, a different front bumper, and larger exhaust outlets. We say outlets, because the small exhaust can be seen inside the gaping rings. Inside, sport seats are either red or black suede like material as well as some other goodies. As far as dynamics, there is a revised suspension that is stiffer and has a new anti-roll bar in the rear. It should be the best TLX yet, especially now that it’s been de-beaked. Audi has finally committed to bringing a larger selection of its high-performance RS models to the States. Joining the RS7 this year will be the new RS3, TTRS, and RS5. Over the next two years, we can expect to see 4 additional, yet unnamed, RS models to arrive. That’s a total of 8 RS models in dealerships before 2020. What a time to be alive! The TTRS and RS3 share Audi’s 2.5L 5-cylinder making 400hp and 354 lb-ft torque. The lighter TTRS will sprint to sixty in 3.6 seconds with the RS3 managing the same in a respectable 3.9 seconds. 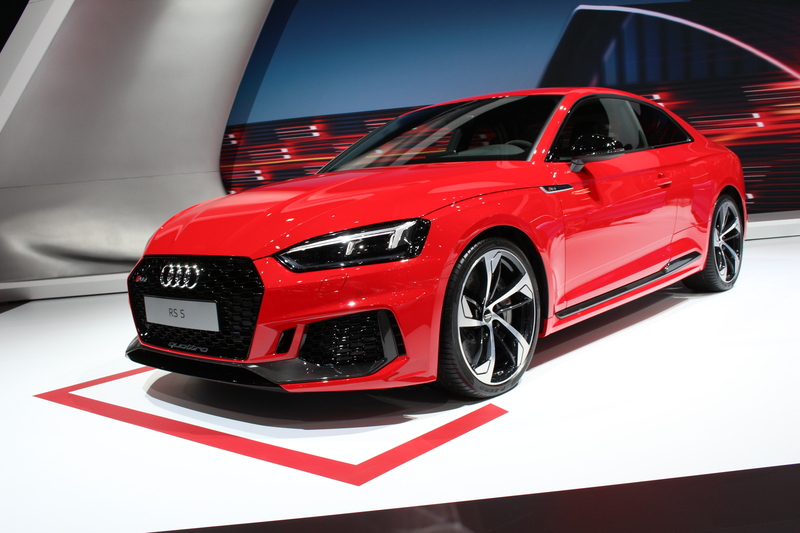 The all-new RS5 drops its glorious V8 for a twin-turbo V6 making 450 hp, helping it also reach 60mph in less than 4 seconds. With over 50% of dealers signed on to carry RS models, expect to see them this fall. The most badass Camaro you can buy currently is the ZL1. This summer, however, the 1LE package is going to be an option for anyone who wants the best track Camaro ever. The 6.2L V8 is still rated at 650 horsepower and 650 lb-ft of torque, but changes to the aerodynamics, suspension and tires bring it to another level. Those tires in fact are 305 up front and 325 in the back. Also interesting is the DSSV suspension, which was standard on the last generation Z/28. 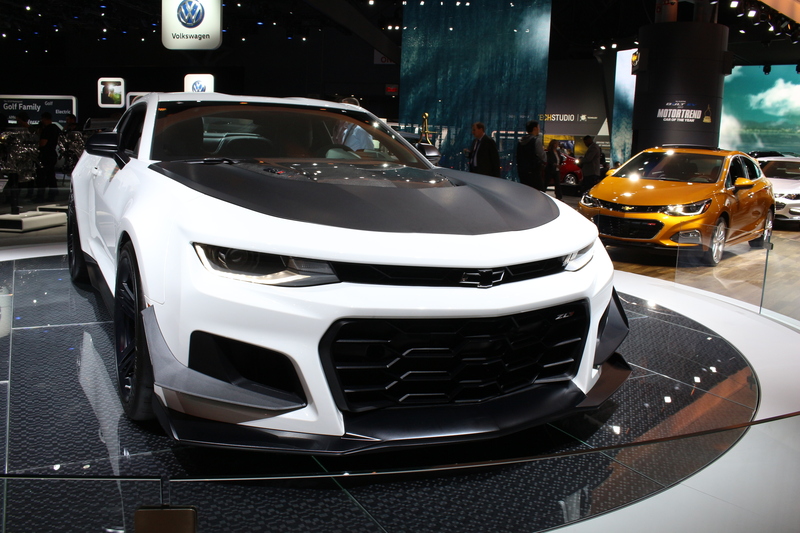 Everything is adjustable and saves the car about 60lbs of weight compared to a regular ZL1. On the aerodynamic front, there’s a massive carbon fiber rear wing, front canards and a huge front splitter. The most badass Camaro is here, and it’s awesome. 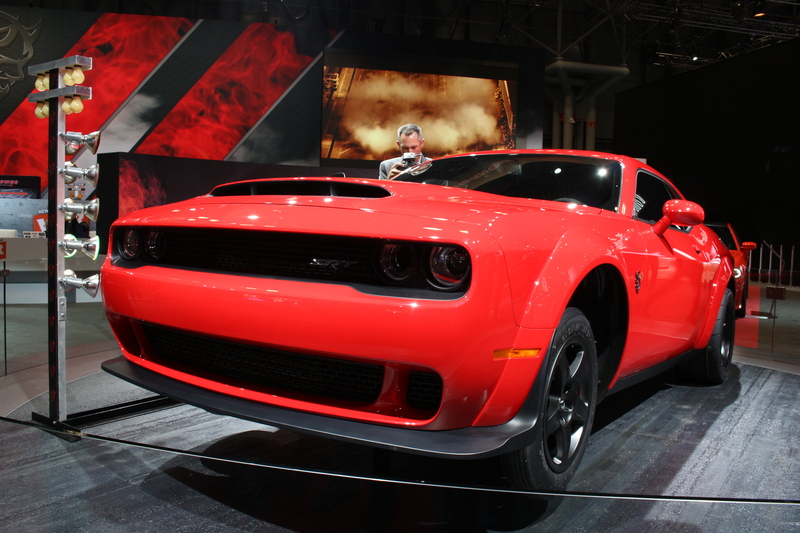 Dodge seemingly spent its entire 2017 marketing budget to debut the Demon on Tuesday night. At a fiery event that featured a guest appearance by Vin Diesel and guest DJ Wiz Khalifa, the 840hp monster broke out of its cage. Apparently Dodge owed Mr. Diesel a 10-second car…and they delivered a street-legal muscle car capable of running a 9.65 second quarter mile. Hitting 60mph in 2.3 seconds, the Challenger SRT Demon is faster off the line than million dollar super-cars. If you, like Vin Diesel, live life one quarter-mile at a time, this is the car for you. But if family is more important, fret not! In FCA’s quest to Hellcat all the things, the Jeep Grand Cherokee SRT Trackhawk shoehorns a supercharged 6.2L V8 under its hood. If you thought the standard Grand Cherokee SRT was a bit tame, this 707hp family hauler will reach 60mph in 3.5 seconds. The all-new Lincoln Navigator finally took the two steps it needed to make itself a true luxury offering. 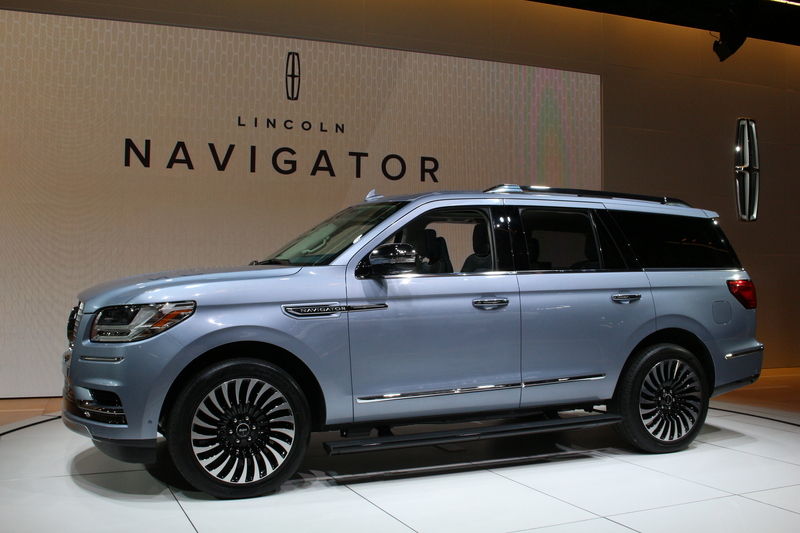 First, a totally unique interior fitted with Lincoln’s Perfect Position Seats from the Continental, beautifully appointed floating center consoles, and an enormous digital dash and infotainment screen make this Navigator feel very much not like a reskinned Expedition. Second, a 3.5L twin-turbo V6 and 10-speed automatic transmission give the new Navigator a swift kick in the pants. If that drivetrain sounds familiar, it’s because the 450hp setup is basically the same one found in the Raptor. So if highways, byways, and mall parking lots are where your next adventure lies, the Navigator will bring you there swiftly, quietly, and in great comfort. 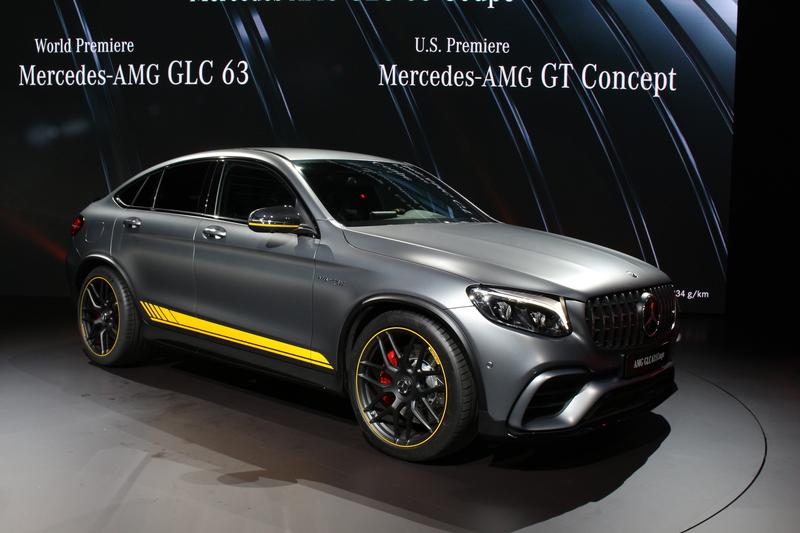 Mercedes unveiled the GLC63 AMG and GLC63 AMG S in New York. It was a predictable move, but for the first time ever this Mercedes SUV now gets the 4.0L twin turbocharged V8. Available with 469 horsepower and 479 lb-ft of torque, the GLC63 AMG is sure to be a rocket. Also available in coupe form only, the GLC63 AMG S has the same power output as the AMG GT; 503 horsepower and 516 lb-ft of torque. That’s good enough for it to be the most powerful compact SUV. We dig it. Mercedes also brought along the new E63 AMG S wagon. We had one of these before, but that is now old news. The new car is truly the king of the hill with 603 horsepower and 627 lb-ft of torque. That’s faster than the old car and done so with a smaller engine. This also shares the AMG family tree’s 4.0L twin-turbo V8. We loved the last one, and the want is just as strong with the new version. 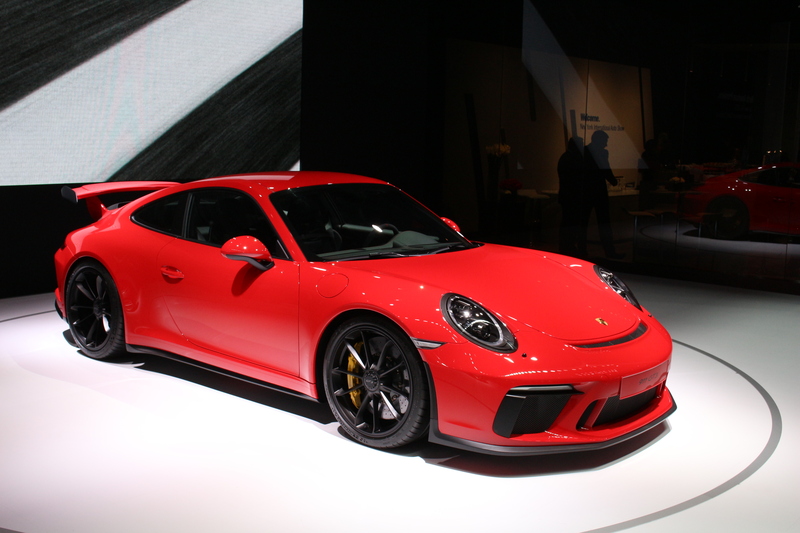 Porsche had our two favorite things on display today at the New York Auto Show. First was the all-new 911 GT3. Now with a choice of transmissions (the 6 speed manual has returned!) attached to the same 4.0L motor from the infamous 911R, this “991.2” GT3 is one serious sports car. Orders are being taken now and the books are full, so if you want one, you best act fast. If that wasn’t attention-grabbing enough, the new Panamera Sport Turismo made it’s stateside appearance. It’s a wagon, and we’re 100% alright with that. The new Panamera is drop dead gorgeous to look at and the Sport Turismo is no different. Options are currently limited to the 4S and Turbo model (that’s the one we’d choose). Porsche expects the body style to sell well, and we hope it does. The world needs more wagons. VW refreshed much of its lineup for 2018. Their big focus has been to upgrade the dated infotainment system and diminutive 5 inch screens. A standard 6.5-inch screen and optional 8-inch screen are now available. All VW GTIs will now make 220hp, regardless of whether or not the Performance Package is fitted. Unfortunately, we won’t be getting the European power bumps for the GTI or Golf R. All we’re left with are revised front fascia and LED lighting. It all isn’t that bad, however. 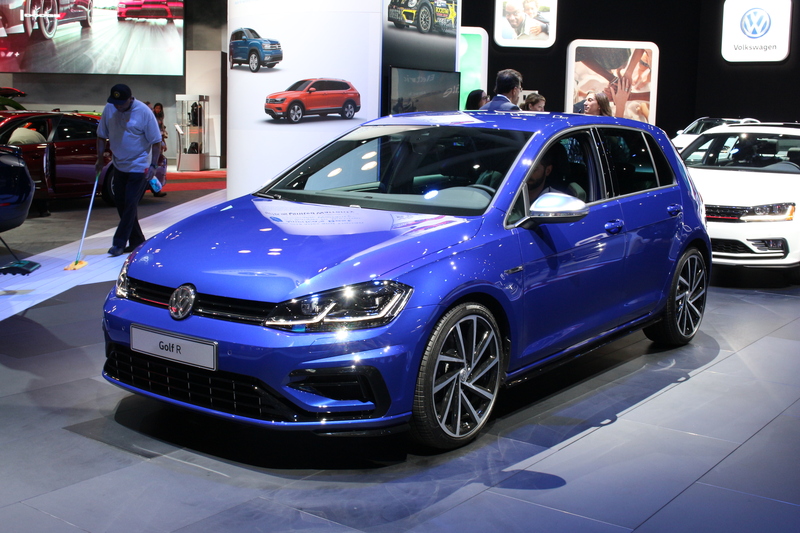 The GTI and Golf R are great to drive, and now they’ll be nicer to spend time in.